When I talk about neo power metal one of two things invariably comes to mind. Either lame fifth generation HELLOWEEN wannabes or powerhouse bands that have taken the lessons of SAVATAGE, ICED EARTH, and NEVERMORE/SANCTUARY and propelled them into the future. ARCHETYPE is (thank the stars) part of the a later movement. Their sound is both crisp and intense. Progressive and classic. Razor sharp and heavy. 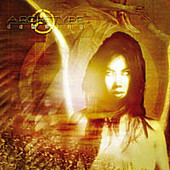 ARCHETYPE isn't blazing too many new power metal trails but they are headed the right way on that trail. They are heading forward instead of backward.